The winners of this year’s MyLife: Essay Contest were announced live during Sunday night’s special Yud Alef Nissan Edition of the MyLife: Chassidus Applied Webcast. 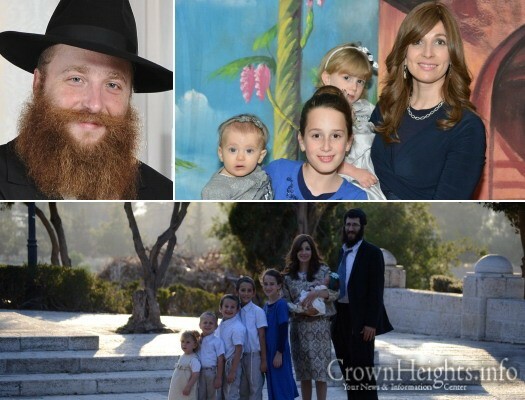 The 1st place winner of $10,000 was Nechama Dina Hendel, a young shlucha, who, together with her husband Rabbi Avraham Hendel, runs Chabad of Baka, Jerusalem. Chaim Heber, a shliach in Beer Sheva, won the 2nd place $3600 prize, Shaul Wolf of Brooklyn won the 3rd place $1K prize, and a bonus $1000 4th place went to Levi Liberow of Brooklyn. Hailing from all around the world, the contestants spanned a wide variety of ages and backgrounds, attesting to the broad reach of the MyLife: Chassidus Applied Essay Contest. Indeed the ages ranged from as young as 15 (with a 14-year-old submitting a fascinating essay, despite not qualifying), to as old as 85. Submissions arrived from the entire social spectrum, including rabbis, laymen, shluchim, educators, professors, yeshivah bochurim, seminary graduates and high school students. 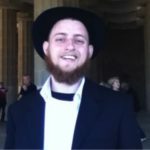 Rabbi Simon Jacobson announced the winners during this Sunday night’s broadcast of the highly acclaimed MyLife: Chassidus Applied series. This week’s 112th episode of the popular series was a special Yud Alef Nissan edition, honoring as well the 150th yahrzeit of the Tzemech Tzedek on Yud Gimmel Nissan, which focused on discussing matters pertaining to the Rebbe and Chassidus. Rabbi Jacobson explained that the auspicious day of Yud Alef Nissan is a most fitting time for the culmination of this amazing contest, driven by our collective quest to disseminate Chassidus. 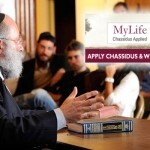 The MyLife: Chassidus Applied essay contest has proven to encourage hundreds of men and women to study and apply Chassidus to their, and our, personal lives. The contest has created an unprecedented surge and excitement in the core mission of the Rebbeim: hafotzas hamayonos chutzah. Surely the Rebbe is deriving much nachas from the study and the propagation of Chassidus that this contest has brought about. The MyLife: Chassidus Applied Essay Contest invited people of all ages from around the world to submit an original essay applying a concept or idea in Chassidus to solve a contemporary life issue or challenge. Although only a select number of essays could be chosen as winners, many more of the essays submitted were very impressive and moving, demonstrating how Chassidus provides, even for a secular person, powerful tools for personal transformation and how Chassidus addresses the most fundamental human needs, from the emotional to the psychological and the spiritual. The Meaningful Life Center is now exploring ways how to channel the enthusiasm and momentum created by this contest into classes, programs and curricula to further the effort of applying Chassidus to life. The MyLife: Chassidus Applied Essay Contest is a project of The Meaningful Life Center. MLC reports that there will be exciting new follow-ups to the Essay Contest. To stay tuned for announcements, and to find out about next year’s contest, subscribe to the MLC mailing list.